Risk is associated with all areas of Life, and studies designed to decrease it play a key role, particularly in what concerns Individual Health. Considering Epidemiological Research, the identification of Risk Factors is crucial to select prevention actions in order to improve Public Health Systems. 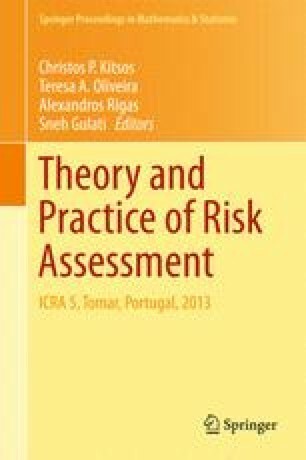 The aim of this work is to identify the main Risk Factors for periodontal disease, using Multivariate Statistical Methods, since according to the literature these are the most important tools to assess associations and interactions between different putative risk factors and a given health condition. An application of Generalized Linear Models (GLM) with probit link function was performed to assess the impact of socio-demographic, biochemical and behavioural factors on periodontal status. We analysed data collected from a sample of 79 individuals with chronic periodontal disease, attending the clinic of Porto Dentistry School. We found a significant association between extensive periodontitis and decreased levels of high density lipoproteins (HDL). We believe public health efforts on prevention, including education of the population at risk, are highly recommended in order to decrease early causes of the illness.